2013 has been a year of many firsts. Most recently, I was initiated into the Rootwire Music Festival family. Though Papadosio has been a long-standing favorite of mine, I had yet to make it out to Logan, Ohio, for the four-day event. I must say, Rootwire 2K13 was such a phenomenal experience, a much needed adventure. On Saturday night, EarthCry took the Tent Stage, and I experienced my first live performance (unless you count dreaming along to a set at Gratifly Music Festival). I can't really say I walked in with a healthy skepticism; like I said, I've been a Papadosio fan for a long time, and I was expecting an equivalent level of showmanship from frontman and guitarist Anthony Thogmartin. However, I was still pleasantly surprised by what I heard. 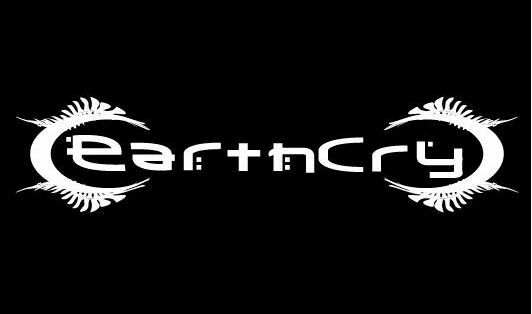 EarthCry weaves pulsating, syncopated rhythms with grandiose sounding counter-melodies — the rhythm pushing the song forward, driving it into you, while the long, drawn-out notes add a density and weightiness to the tracks, almost reminiscent of trance. The influences of many genres can be heard; the same versatility that exists within the five-piece of Papadosio is evident. EarthCry’s debut album, released at Rootwire, called "Hear the Earth, Heal Yourself ∞ Heal the Earth, Hear Yourself," makes use of the Solfeggio frequencies, through the incorporation of tuning forks. Solfeggio frequencies are thought to have healing and transformational potentials, including the ability to influence the development of higher consciousness. After Papadosio’s acoustic set on Sunday night, I spoke with Anthony to discover what the catalyst for this side project was, what his expectations are, and how it has so far been received. You can listen to the audio below. EarthCry will be opening for Papadosio on its upcoming fall tour. Tour dates and ticket information can be found here.